Welcome to our Catholic Parish of St Clements Wisdom, Understanding, Counsel (Right Judgement), Fortitude (Courage), Knowledge, Piety (Reverence),Fear of the Lord (Awe & Wonder). we pray that you may know the peace and joy which we share. Luke's gospel was aimed at the pagan world of his time. We have nearly 500 people regularly attending four varied weekend services. They in turn belong to many groups and activities. Whether you are a young family or a senior citizen you will find something for you. Alongside our 1960's church, we have a hall which provides for community activity. St Clement’s Catholic Primary School in the borough of Epsom and Ewell is a voluntary aided school in the Diocese of Arundel & Brighton. The school was founded by and is part of the Catholic Church and is in Trusteeship of the Diocese. St Clement’s Catholic Primary School was opened in 1972 and had been set up by the Parish of St Clement, Ewell, the Diocese of Arundel and Brighton and Surrey County Council, for the education of baptised Catholics in the parish of Ewell and Stoneleigh. 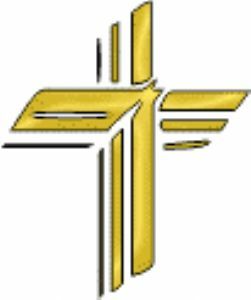 The school is conducted as a Catholic school in accordance with canon law, the teachings of the Catholic Church and the Trust Deed of the Diocese of Arundel & Brighton. It seeks at all times to be a witness to Jesus Christ. The governors aim to offer a Catholic education. They expect that parents applying for places for their children will accept and uphold the Catholic character and ethos of the school. Nevertheless, the school fully respects the beliefs of parents and children from all denominations and faith backgrounds. Children are taught respect and tolerance for others, and there is provision in the religious education programme for the study of different faiths. 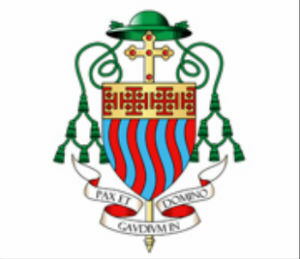 Although the school was set up primarily to serve the Catholic community in the St Clements, Ewell Parish of the Epsom Deanery, the school also serves the parishes of St Matthias, Worcester Park and St Catherine of Sienna , Chessington. We are on the A240 between Epsom and Kingston. The tall thin brick one bell tower identifies us. Do come and see us face to face.